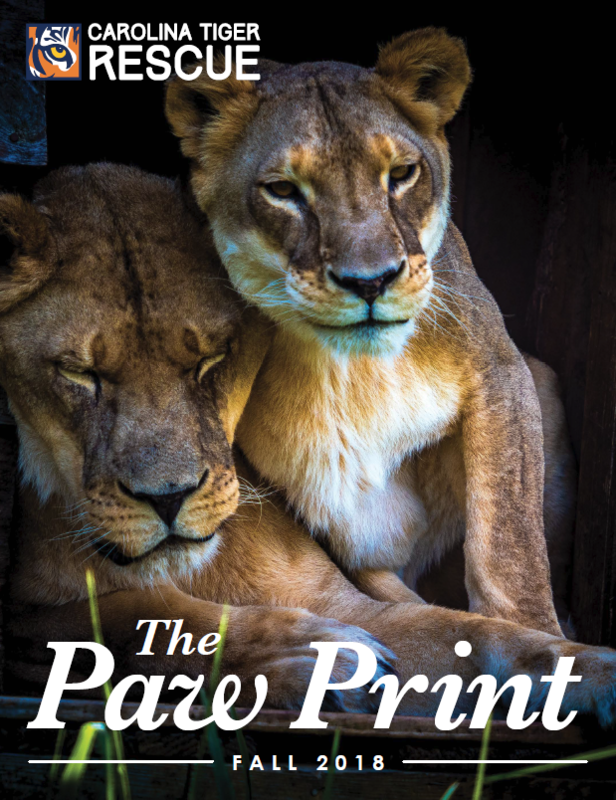 Sign up for our newsletter, The Paw Print. 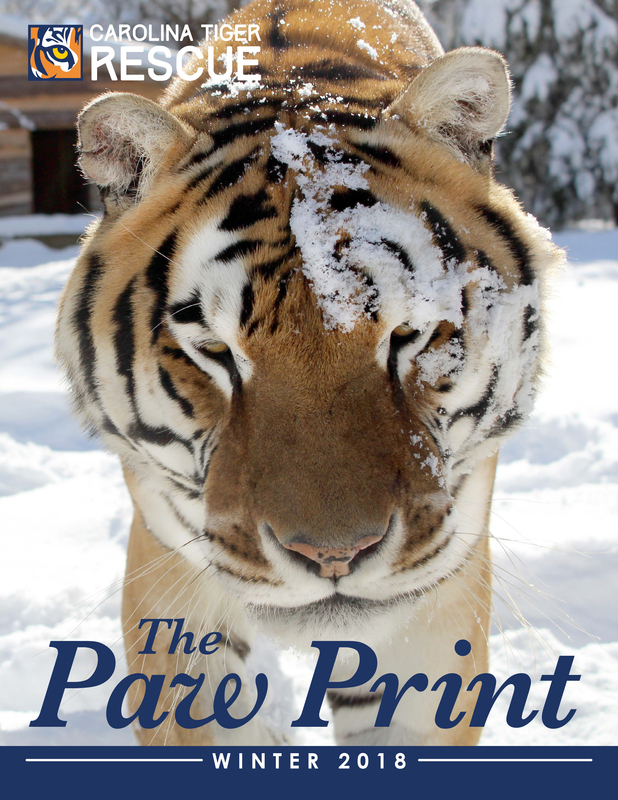 The Paw Print is distributed both in print and via email, three times each year. Celebrating 45 Years of Tigers! 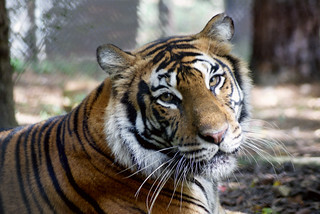 We are proud to celebrate 45 years of Carolina Tiger Rescue history! Learn more about our stories and the wild cats that keep us passionate about our work. Holiday spoiler alert: Most store-bought desserts and baked sweets — everything from cookies and cupcakes to donuts and pies — use palm oil. So do packaged cookie doughs, pie crusts and dry cake or brownie mixes. Sadly, most bakeries also use palm oil, so even donuts and specialty cakes that you buy from Panera, Cheryl’s or Krispie Kreme have palm oil. The good news is that with a bit of a time investment, you can bake your own goods and avoid palm oil all together. Many recipes are pretty easy to decipher and understand. Avoid shortening and margerine, there’s palm oil there, too. But a basic cookie dough recipe: eggs, flour, sugars, vanilla, baking powder, butter… well, that’s pretty straight forward. This is, by far, the easiest way to ensure you’re serving dishes that align with your morals. Looking to do a story? The contact person for marketing and public relations is Communications Director Michelle Meyers, 919-542-4684 x 3019. Carolina Tiger is open daily from 8:30am to 5:00pm. We are closed only on Thanksgiving Day and Christmas Day. Carolina Tiger does not permit the media to be present during a rescue/receiving new animals. This is one of the most dangerous times for a sanctuary, so only staff members are present. It is also an anxious time for the animals being transferred. They may have just completed a long journey in a cramped space and their whole world has changed within hours. New animals are immediately unloaded into quarantine, where they will undergo medical exams and evaluation. Quarantine typically lasts 3 to 4 weeks. It is also during this time that we assess each animal’s behavior and personality to determine whether they will be placed on the tour route or elsewhere in the sanctuary. During this time we do not permit anyone other than staff to visit the new animals. We do have a professional photographer on staff, and we take pictures and video during rescues and quarantine. Reporters may request pictures and video during these times and we will be happy to supply them. Carolina Tiger has numerous suggestions for story ideas.